Thinking of selling my Bob Latino VTA ST70 tube amp. Have over $1100 in it ... wondering if anyone is interested for $???. Selling it because I'm playing with multiple speakers, multiple vintage amps and multiple inputs ... just a pain switching this on these tube amps. No clue what it is worth ... any reasonable offers? Bought this as a kit 12/2017. Finished assembly 1/2018. Very, very nice unit with superior sound. 35W/ch. Includes Russian 6550 tubes, Russian caps, 21 stage attenuator and lucite VTA cover plate (to protect you from high voltage). Yes; transformers were painted prior to assembly. Probably less than 20 hours on the tubes ... not even fully burned in. Will post more pics if members are interested. FYI ... $1305 wired up from tubes4hifi.com plus about $80 shipping plus $50 for Russian caps plus $40 for the lucite plate. Total $1475 (corrected) if you want to get it "that way." This is a great deal for someone. I have the same amp from Bob with the same upgrades and it is not going anywhere. GLWTS. Entertaining trades? I am in Orlando. Thx. 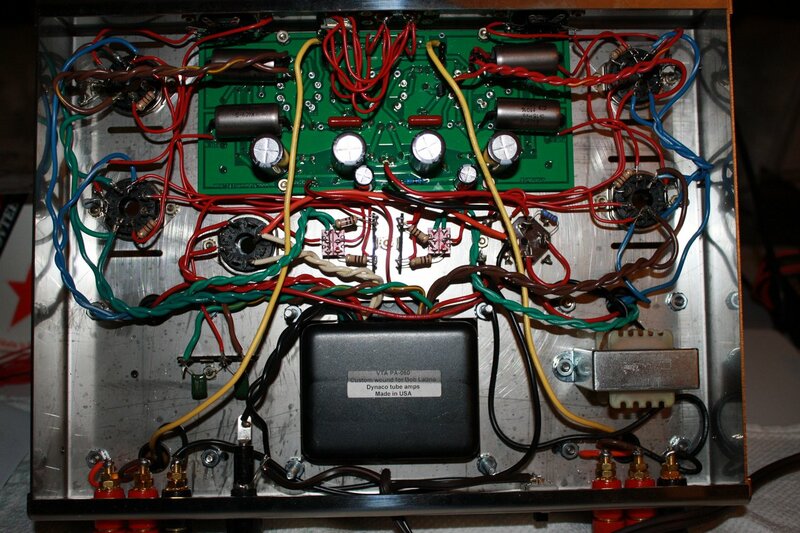 My VTA ST-70 won't be going anywhere...it does a great job and it was built by me. Kind of like my Belle clones. They are a great combo together. Not looking for anything at the moment (aside from K-510 horns) ... but if you have something in mind post a response or send me a PM. GLWS Emile, that sweetens the pot right up for someone! Nice lil package!